Today I want to share my favorite eyeliner ever! 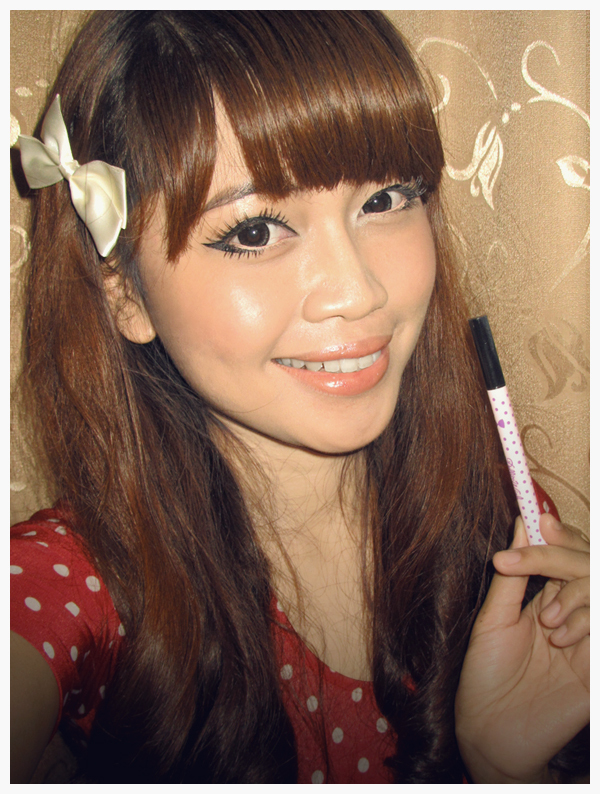 Koji Dolly Wink Liquid Eyeliner. I've been using it since few months ago but I just realised that I haven't made any review about it until the product is almost empty.. I plan to buy a new one. Suddenly Kay Collection sent it to me with some other products. I was surprised and very happy! I don't need to buy it! ^^ Thanks a lot Kay Collection!! So.. here is my review.. The packaging, super-cute isn't it? I love the black bow accent! 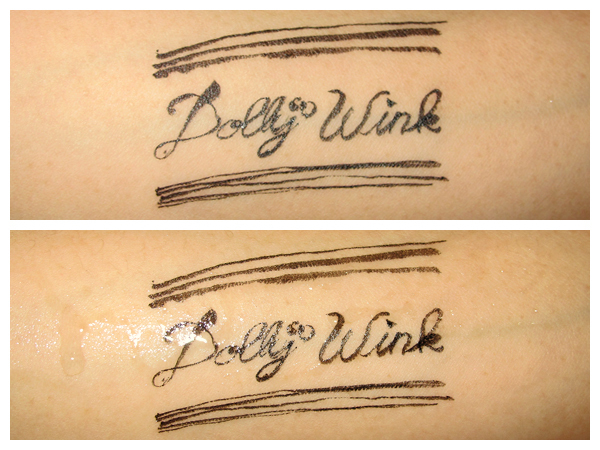 Koji Dolly Wink Liquid Eyeliner (Deep Black). I love the logo and the polka dot pattern, retro! So cute! Look! 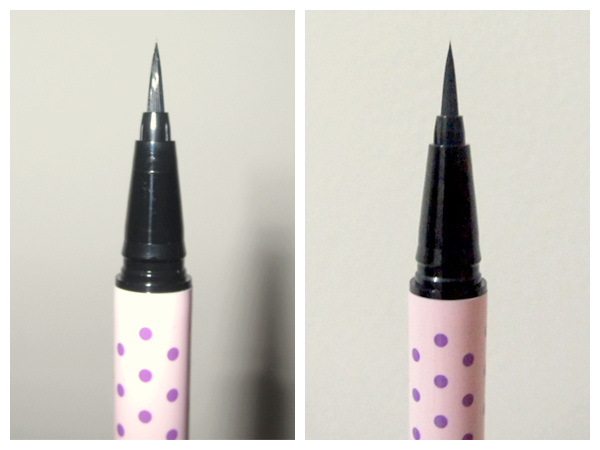 The brush is superthin and precise!! - The pen-like shape makes it easy to hold. 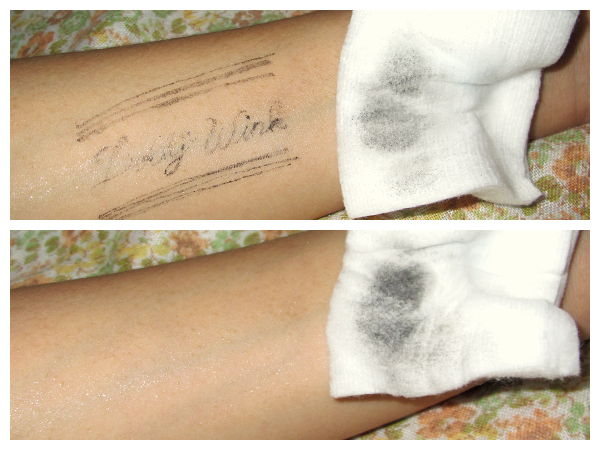 - The color is very black and doesn't smudge at all! Perfect! - The staying power is awesome! It stays on my lids more than 12 hours! 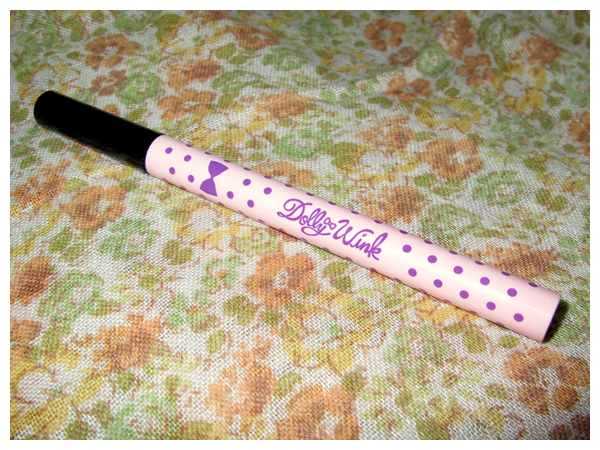 - The super-thin brush makes it easier to apply precisely, especially for winged eyeliner style. Overall I love this product so much! I will always re-purchase it. XD I'm pretty sure most of you love this product too. If you want to buy it, you can get it at Kay Collection! I'm going to review the other products from Kay Collection soon. Andhika> Thanks for reading!! ^^ Baguslah kalau berguna.. XD Sering2 latian aja..
That is pretty cool! Love the color n staying power. Wish they have it here :( bummer. Great post! Britzie> oya? okay next time i should try it! ^^ thanks for visiting my blog!! ga juga sih, kalau kamu liat di makeupbee, orang eropa sama amerika juga banyak yang suka makeup dolly gitu. say kamu belinya dmana> aku liat di internet ada yg 35, 45, 65, 85 cuma takut palsu... huhuuhu. uda pernah nyoba k-palette??? tokonya kayak apa sih Kay Collection? 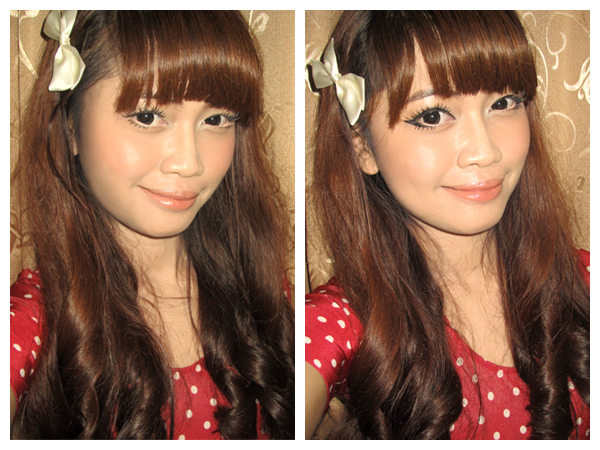 ok let's see at Gandaria City hehehe. selalu kepikir mau cari ini, tapi pasti selalu lupa dimana aja tokonya.